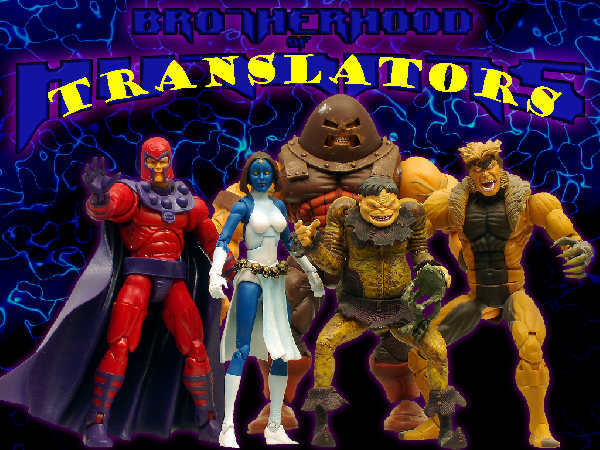 The Brotherhood of Translators was inspired by the practice of non-paying translation agencies, in response to a complaint submitted by a victimised translator and posted on some non-payment webforums, to ask their translators (or perhaps fabricate new accounts) to post contrary comments stating how great they are. In order for a translation agency to survive it needs steady and quality translators, and needs to keep them satisfied. But if for some reason the agency decides that a translator it has been using does not suit its needs, it should treat that translator with the same fairness and justice and pay them their due wages and not treat them like some disposable commodity. Because of these practices by certain translation agencies, we have formed the Brotherhood of Translators, where if one of the members is subjected to such practices, an email is sent out to all the other members, who can then decide if they want to post an equally fabricated comment on the various non-payment forums. Only by banding together can translators cripple the dishonest practices of such agencies. If you would like to become a member of this brotherhood, simply subscribe here. If you know of any useful non-payment forums besides the ones listed below and where such comments can be posted, please stated them in your email.